It's over a year since my last hair rebond. I finally decided to treat myself with straight hair but didn't know which salon to go. Victor Ortega is now a couple of rides away from my place. Just thinking of the wait for my turn in that heavily packed salon and traveling back and forth made me think of trying this newly opened salon near my house. Actually. I can see a lot of hair salons around Shaw Boulevard that are inviting and promising. So far, this one is also inviting.. and promising.. and very affordable too! My new hair after 4 hours of rebonding at Pia Jane Salon and Spa. I took a package worth P1500 for this. The package included hair rebond, hair cellophane and hair treatment with Semi di Lino. Before and after rebonding photos. Deadma na ang face huh. Just notice the difference with my hair. Wavy hair on the left. Soft and straight on the right. 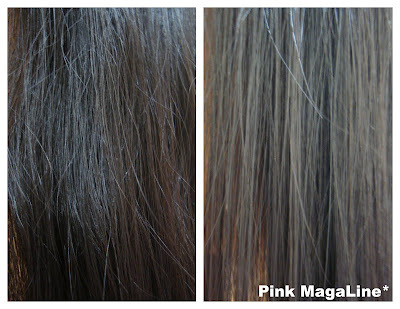 Before and after rebonding close up photos. Dry hair on the left and soft hair on the right. 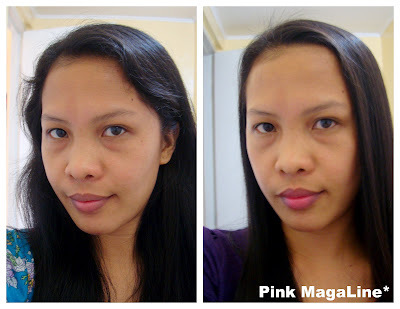 Rebonding has been one of the most sought salon services in the Philippines these days. Glad you had a nice deal there. This is worth mentioning to my female relatives who love to frequent spa houses and such. I've never tried rebonding but I've tried hair straitening and it most certainly was an unpleasant experience. My scalp got burned. I guess I went to the wrong salon. I'm supposed to treat myself for a rebonding instead i just cut it coz its still straight p nmn.! nice hair indeed! I think the wavy hair looks better on you. wish they have other branches. I just had my hair rebonded at Asian Salon in Makati. I bought the voucher from Metrodeal last year and I availed of their services only last week. Mine is only Php 999.00 inclusive of L'oreal Xtenso Rebond, Cellophane, Haircut, Manicure, Pedicure and Foot Spa. wow 799 only...thats a awesome price....i last did rebonding with u jing at manila...after that, i have made my hair short now..
nice! dito sobra luxury yan! .. good thing short hair me hehe; love your new hair! looks good on you! Oh-Emm! I'm like a stone throw away from this salon. Why haven't I notice them? Will pay them a visit tomorrow~ =) Thanks for sharing! Here's their deal: 77% Off! Get that Fabulous Hair Rebonding & Blow Dry, including Wash, Cut, & 15-Minute Back Massage at Pia Jane Salon & Spa for only Php 699 instead of Php 3,000 Get this INSTA-DEAL from DealAmigos! Hi Keribels! P799 is for rebond alone. For my hair, I paid a total of P1500 + tip. If the deal says rebond + blow dry + wash + cut + massage for P699, I thik it is acceptable na. Hi Mrs. Kolca, how come you paid a total of P1500? What other services did you avail in that you came up with a P1500 total? Thanks. Hi Mrs. Kolca, what other services did you avail? 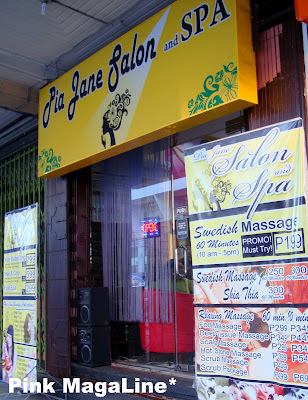 Didn't the deal mean to say that P699 includes of rebond + blow dry + wash + cut + massage, how come you had a total of P1500? Thanks. I took a package worth P1500 for this. The package included hair rebond, hair cellophane and hair treatment with Semi di Lino! 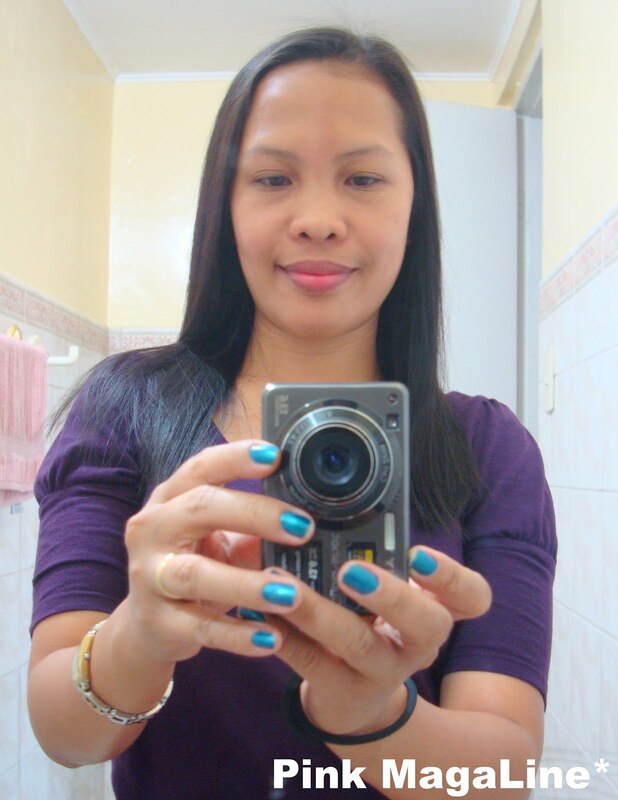 i've been looking for a review on this salon, i'm planning to get rebonded again after 5yrs.lol..thanks for this! your hair now is really gorgeous:D cheers! How's your hair after a week? Is it still okay? I want to purchase the deal, but still thinking if I'll avail. samin nga 400 lang eh... matagalan pa talaga :) pero I can't afford haha!